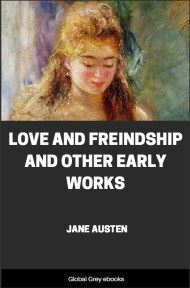 Love and Freindship [sic] is a juvenile story by Jane Austen, dated 1790. 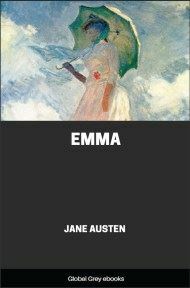 From the age of eleven until she was eighteen, Jane Austen wrote her tales in three notebooks. The notebooks still exist – one in the Bodleian Library; the other two in the British Museum. 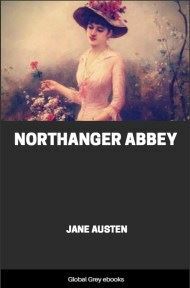 They include among others Love and Freindship, written when Jane was fourteen, and The History of England, when she was fifteen. My Father started—"What noise is that," (said he.) "It sounds like a loud rapping at the door"—(replied my Mother.) "it does indeed." (cried I.) "I am of your opinion; (said my Father) it certainly does appear to proceed from some uncommon violence exerted against our unoffending door." "Yes (exclaimed I) I cannot help thinking it must be somebody who knocks for admittance." "That is another point (replied he;) We must not pretend to determine on what motive the person may knock—tho' that someone DOES rap at the door, I am partly convinced." Here, a 2d tremendous rap interrupted my Father in his speech, and somewhat alarmed my Mother and me. A third more violent Rap than ever again assaulted our ears. "I am certain there is somebody knocking at the Door." (said my Mother.) "I think there must," (replied my Father) "I fancy the servants are returned; (said I) I think I hear Mary going to the Door." "I'm glad of it (cried my Father) for I long to know who it is." I was right in my conjecture; for Mary instantly entering the Room, informed us that a young Gentleman and his Servant were at the door, who had lossed their way, were very cold and begged leave to warm themselves by our fire. Mary, without waiting for any further commands immediately left the room and quickly returned introducing the most beauteous and amiable Youth, I had ever beheld. The servant she kept to herself. 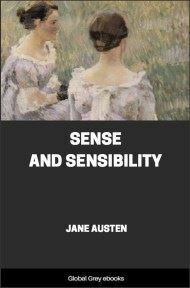 My natural sensibility had already been greatly affected by the sufferings of the unfortunate stranger and no sooner did I first behold him, than I felt that on him the happiness or Misery of my future Life must depend. Adeiu Laura. The noble Youth informed us that his name was Lindsay—for particular reasons however I shall conceal it under that of Talbot. He told us that he was the son of an English Baronet, that his Mother had been for many years no more and that he had a Sister of the middle size. "My Father (he continued) is a mean and mercenary wretch—it is only to such particular freinds as this Dear Party that I would thus betray his failings. Your Virtues my amiable Polydore (addressing himself to my father) yours Dear Claudia and yours my Charming Laura call on me to repose in you, my confidence." We bowed. "My Father seduced by the false glare of Fortune and the Deluding Pomp of Title, insisted on my giving my hand to Lady Dorothea. No never exclaimed I. Lady Dorothea is lovely and Engaging; I prefer no woman to her; but know Sir, that I scorn to marry her in compliance with your Wishes. No! Never shall it be said that I obliged my Father." We all admired the noble Manliness of his reply. He continued. 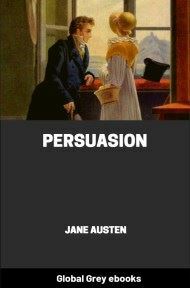 "Sir Edward was surprised; he had perhaps little expected to meet with so spirited an opposition to his will. "Where, Edward in the name of wonder (said he) did you pick up this unmeaning gibberish? You have been studying Novels I suspect." I scorned to answer: it would have been beneath my dignity. I mounted my Horse and followed by my faithful William set forth for my Aunts." "My Father's house is situated in Bedfordshire, my Aunt's in Middlesex, and tho' I flatter myself with being a tolerable proficient in Geography, I know not how it happened, but I found myself entering this beautifull Vale which I find is in South Wales, when I had expected to have reached my Aunts." "After having wandered some time on the Banks of the Uske without knowing which way to go, I began to lament my cruel Destiny in the bitterest and most pathetic Manner. It was now perfectly dark, not a single star was there to direct my steps, and I know not what might have befallen me had I not at length discerned thro' the solemn Gloom that surrounded me a distant light, which as I approached it, I discovered to be the chearfull Blaze of your fire. Impelled by the combination of Misfortunes under which I laboured, namely Fear, Cold and Hunger I hesitated not to ask admittance which at length I have gained; and now my Adorable Laura (continued he taking my Hand) when may I hope to receive that reward of all the painfull sufferings I have undergone during the course of my attachment to you, to which I have ever aspired. Oh! when will you reward me with Yourself?"